shows that John was just a messenger and not the originator of the message. holiday time, in the day, in the night, etc. church is a special group, assembly, and congregation of people: Acts 20:28.
careful how they deal with the church of Jesus Christ. correctly. God bless you all. gospel be preached to every creature, everywhere. Titus 1:5 – there should be churches in every city. A. The Reputation And Works Of A Dead Church. the fear of God. John 3:34.
preachers that watch over the churches. 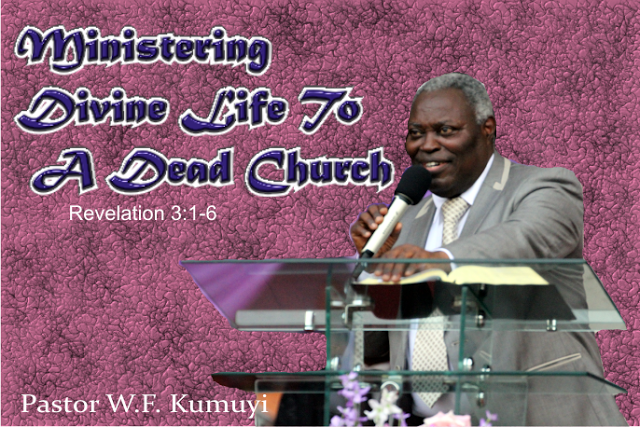 A ‘dead church’ is an assembly of dead people, worshipers. Revelation 3:1. Claiming to be what one is not. Galatians 6:3.
professing salvation and other Christian experiences that are non-existent. dressing/appearance, programmes of the world. They are incorrigible. dying. II Chronicles 25:2. Doing the right things but not with a perfect heart. Revelation 3:4. In the church, only a few were clean, majority were defiled. Isa 1:18 – invitation to all the defiled. Ezekiel 36:25: salvation; vs 26: sanctification; vs 27: Holy Ghost baptism. Watchfulness Of The Deficient Congregation. find our way back to God. people within and without. We must also pray always. but to strengthen, uphold and edify. people of God are perfected. Colossians 1:28.
word of God. Restitution where necessary. Revelation 3:5; I John 2:13-14, we have overcome the wicked ones. May God help us to stand till the end. May God bless and strengthen our father in the Lord. Church, who earnestly desires to win souls through her write-ups.